The Santa Barbara Sheriff’s Office would like to thank two Lompoc residents who assisted a Sheriff’s deputy in his arrest of an intoxicated, violent train passenger on Monday night at the Surf Depot Amtrak station near Lompoc. The deputy responded to reports of a belligerently intoxicated passenger — Christopher Taylor, 30, of Seattle, Washington — who Amtrak conductors had removed from the train. When the deputy tried to arrest Taylor for public intoxication, he violently resisted, punching the deputy in the face and kicking him. 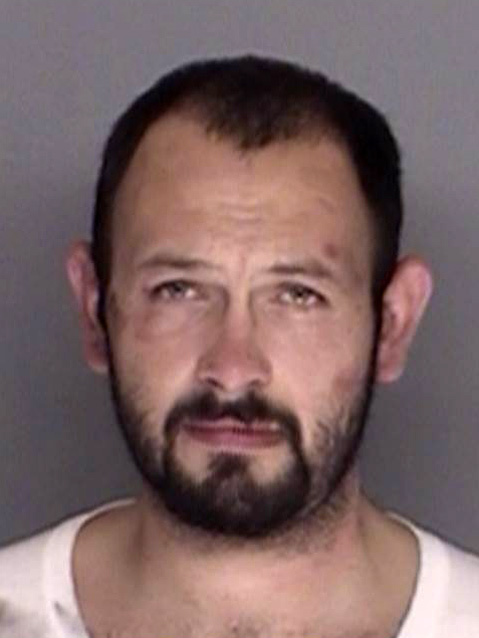 Two Lompoc residents, one 35- and one 65-year-old man, rushed to the deputy’s assistance, helping restrain Taylor so the deputy could make the arrest. The 65-year-old citizen helped the officer take Taylor, who was still violently resisting, to the patrol car. The deputy then transported Taylor to the Santa Barbara County Jail, where he was booked on alleged charges of general battery, felony resisting a peace officer through violence, and battery on a peace officer. The deputy was treated for his injuries at a local hospital. The civilians did not need medical attention.